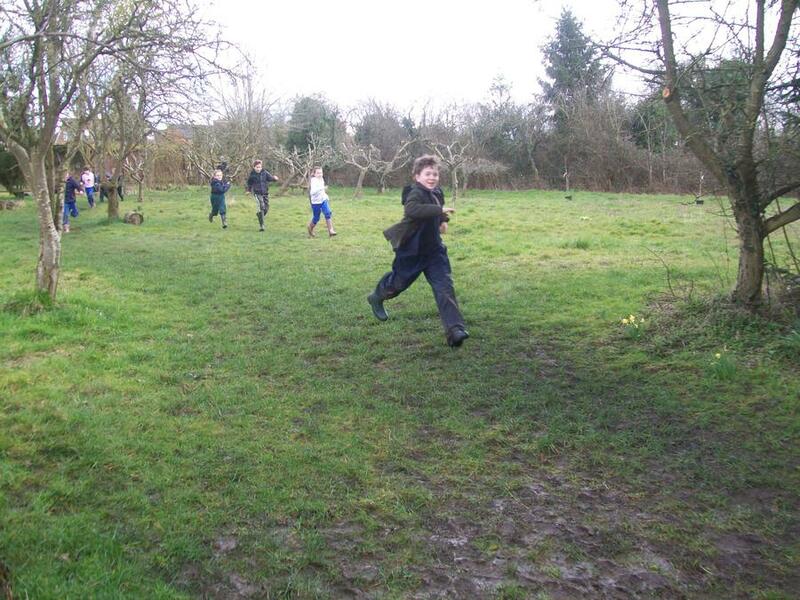 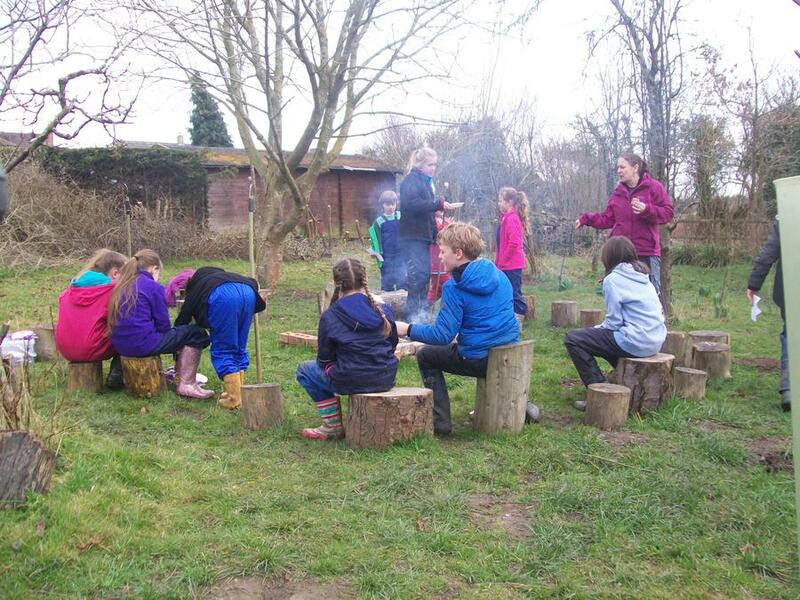 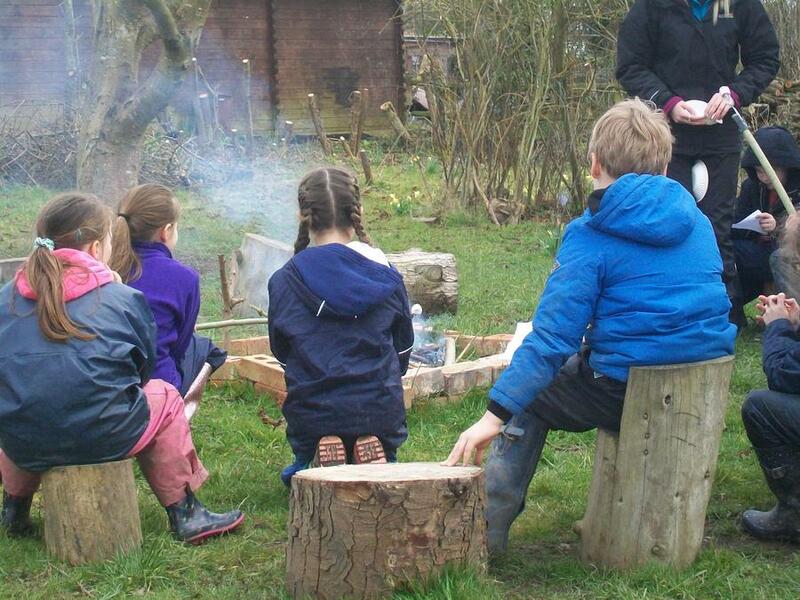 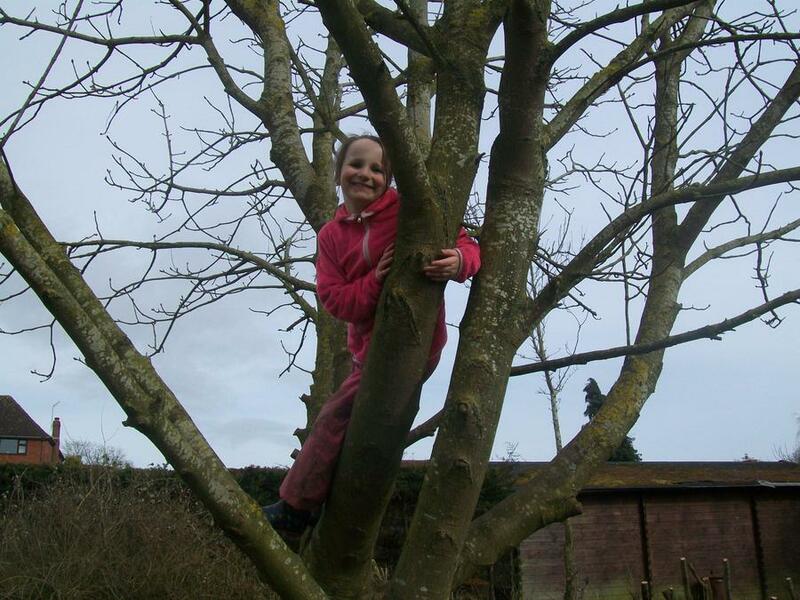 What a great start to our Forest School sessions with Class three! 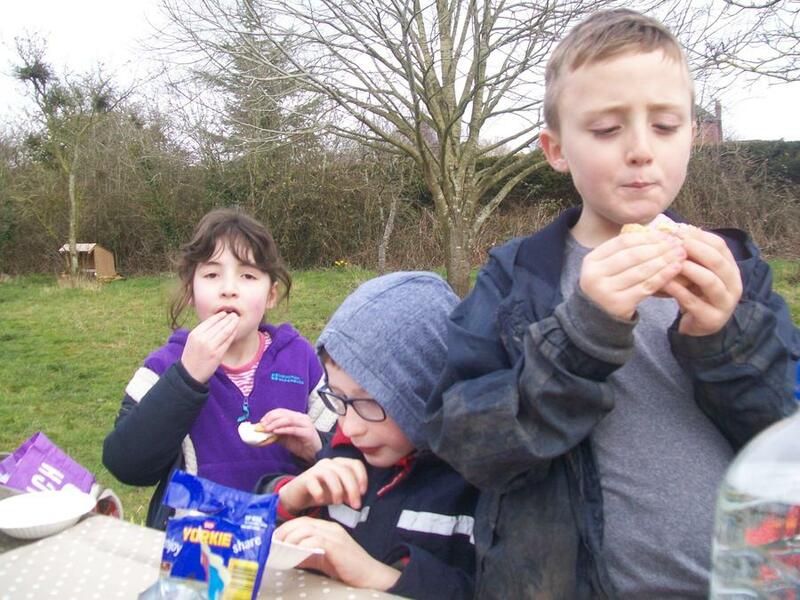 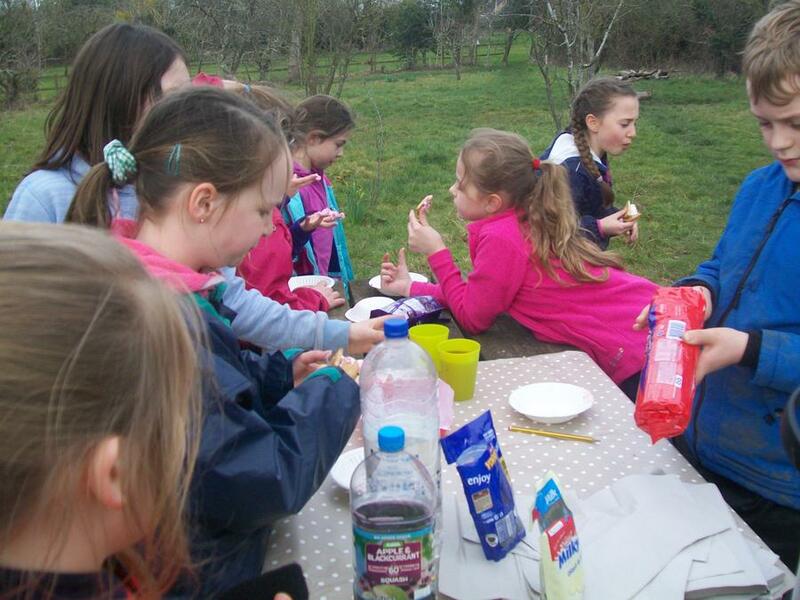 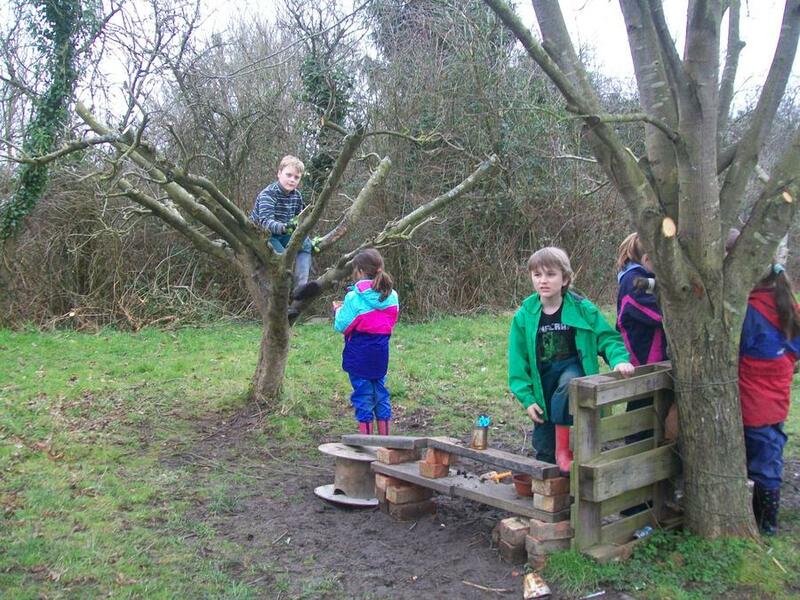 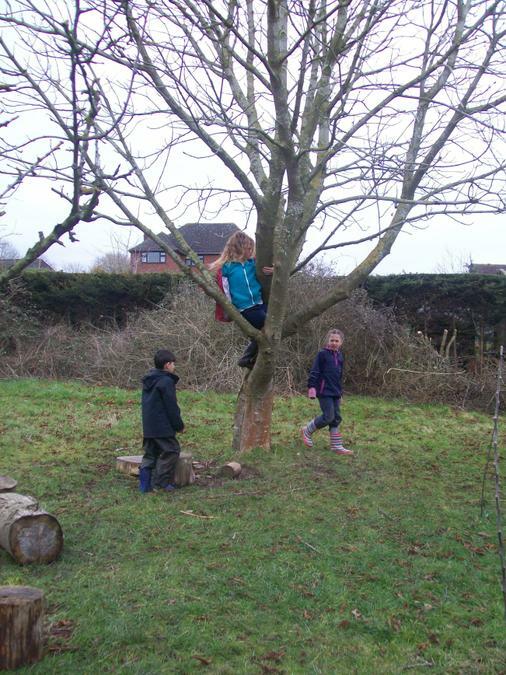 The children have enjoyed building dens, tree climbing and making delicious food for the teachers in the mud kitchen cafe! 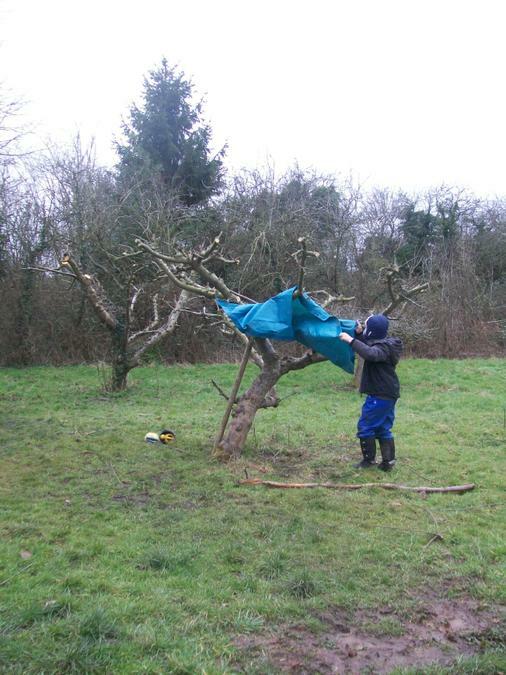 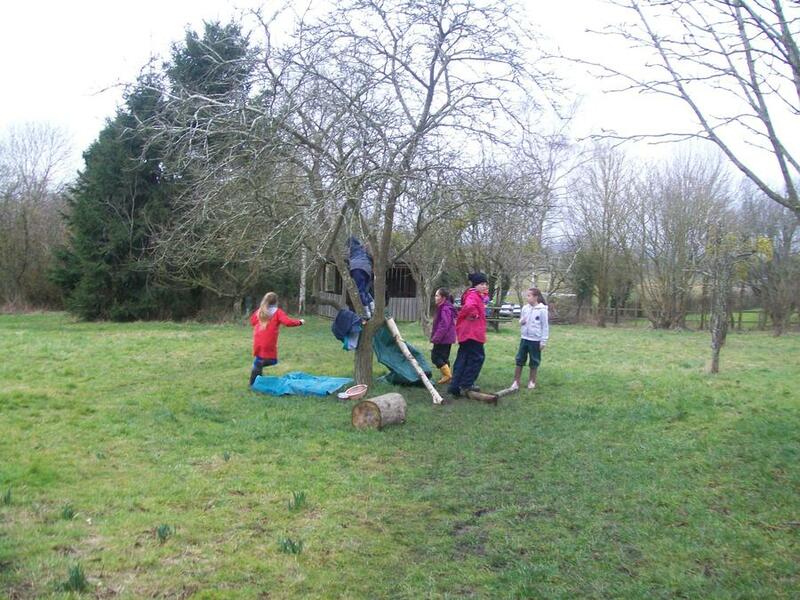 The den builders were keen to learn some useful knots to use whilst tying the tarp to the stakes. 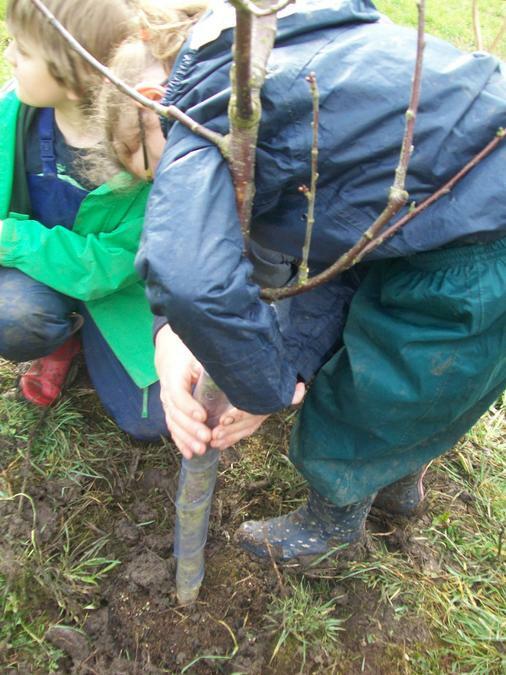 They also used mallets to hammer in the stakes to the ground. 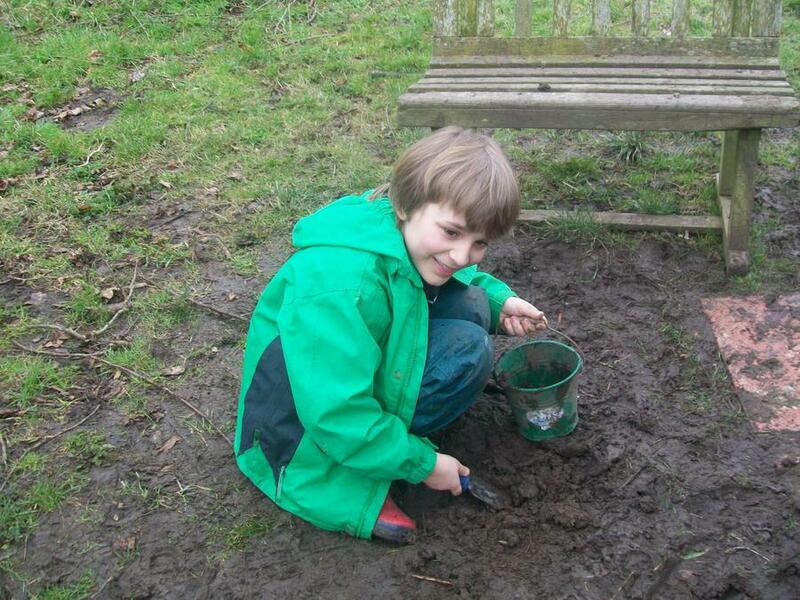 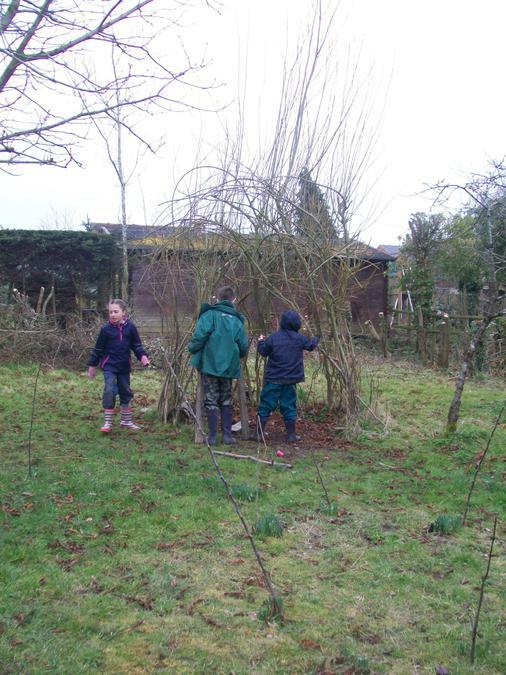 Building habitats for animals and mini beasts. 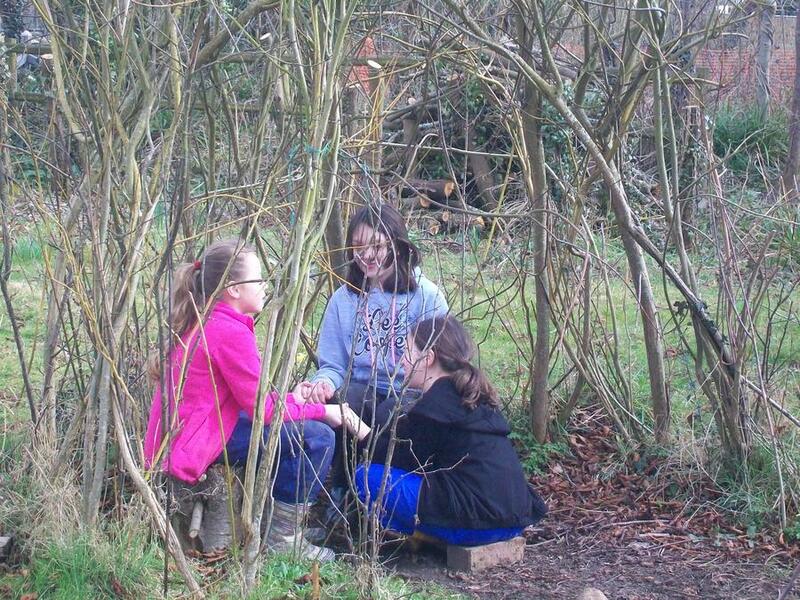 Watch this space to find out the fun things we get up to! 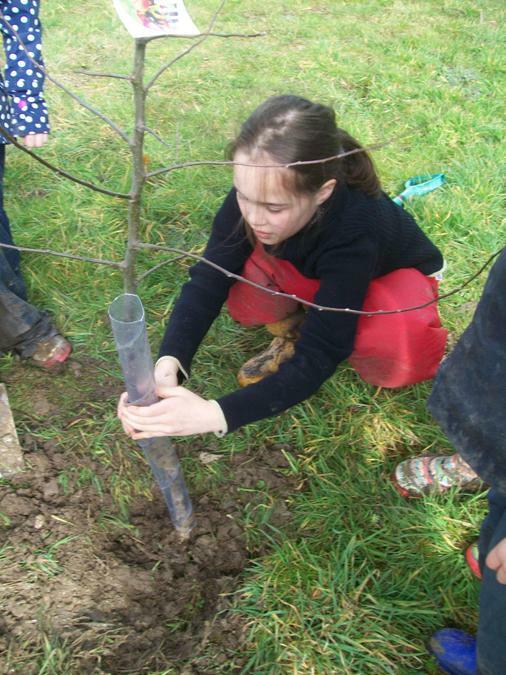 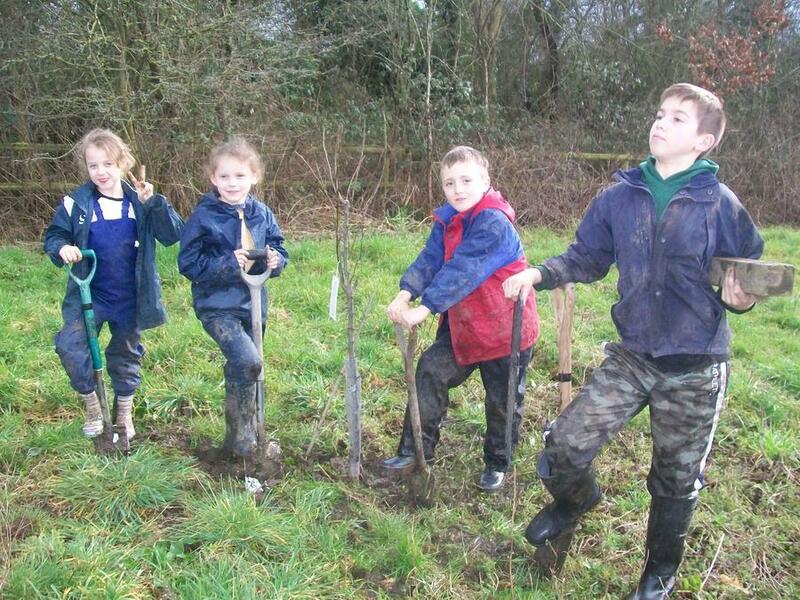 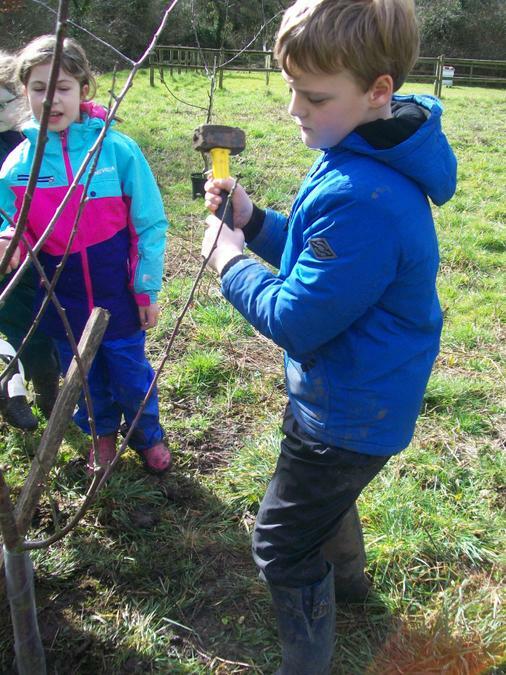 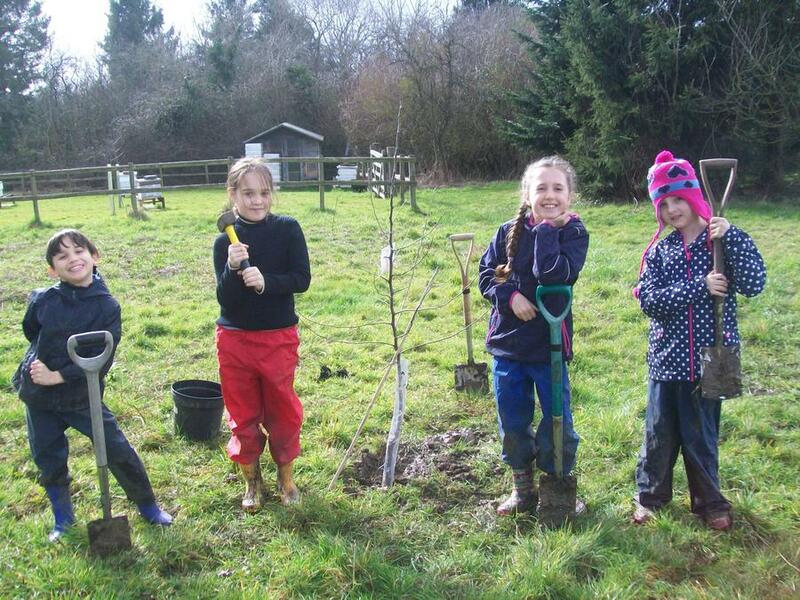 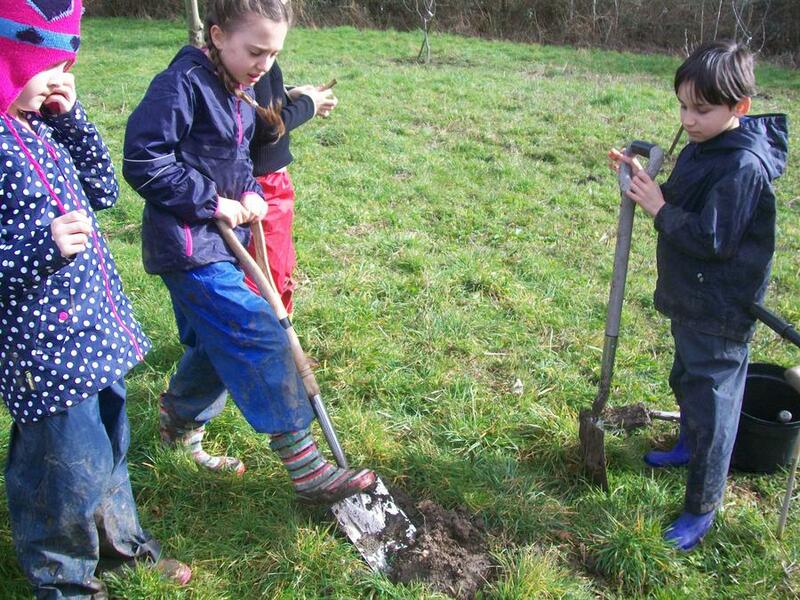 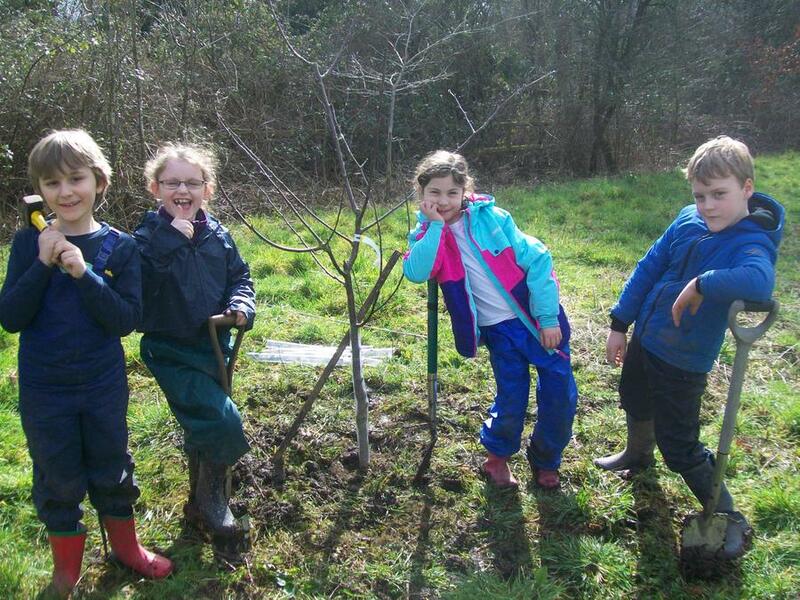 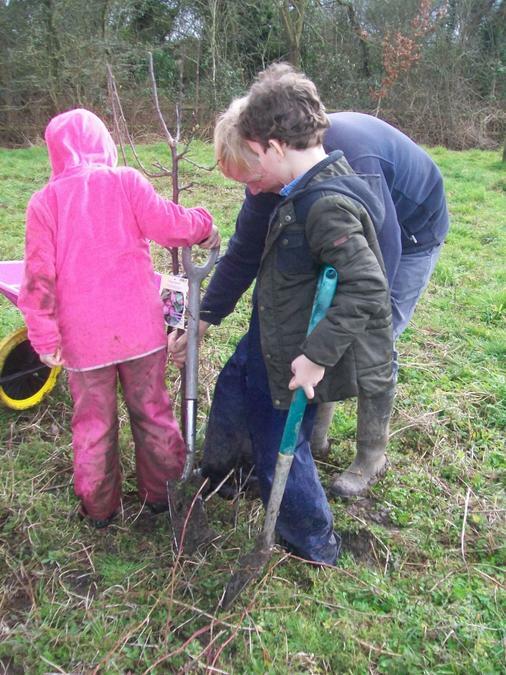 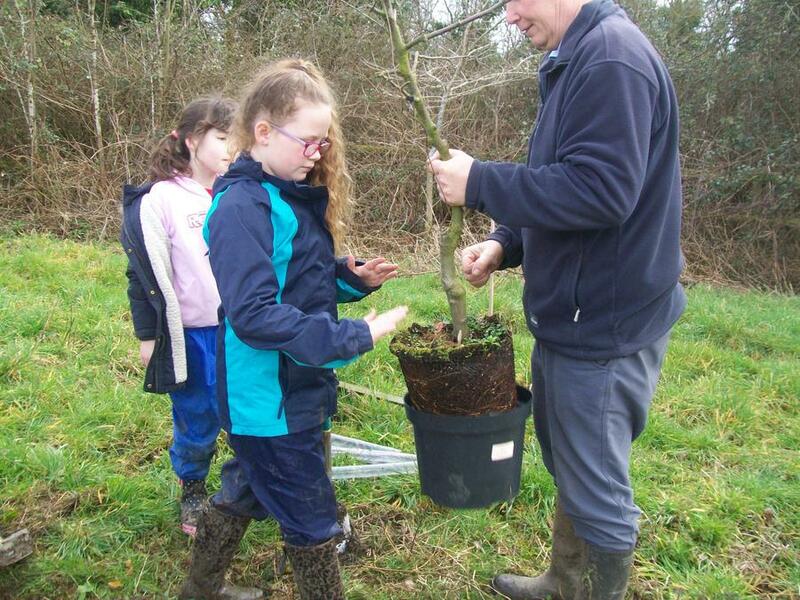 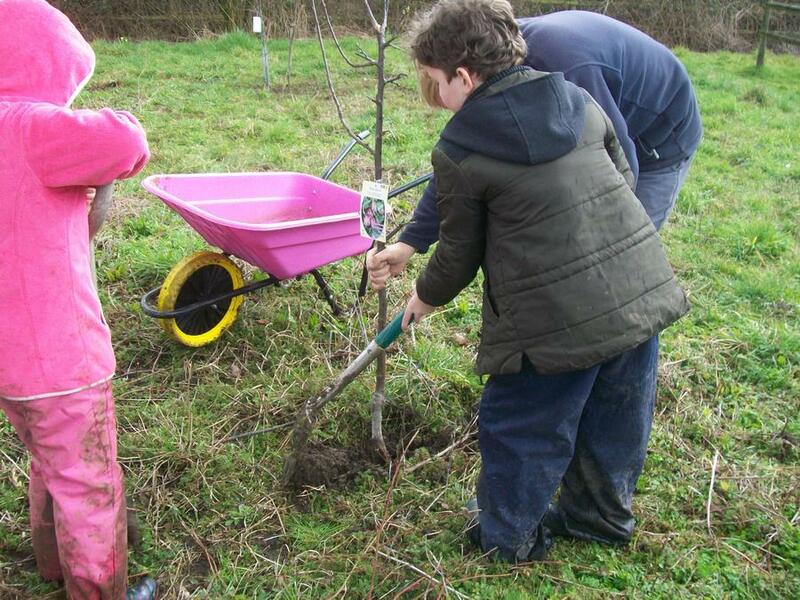 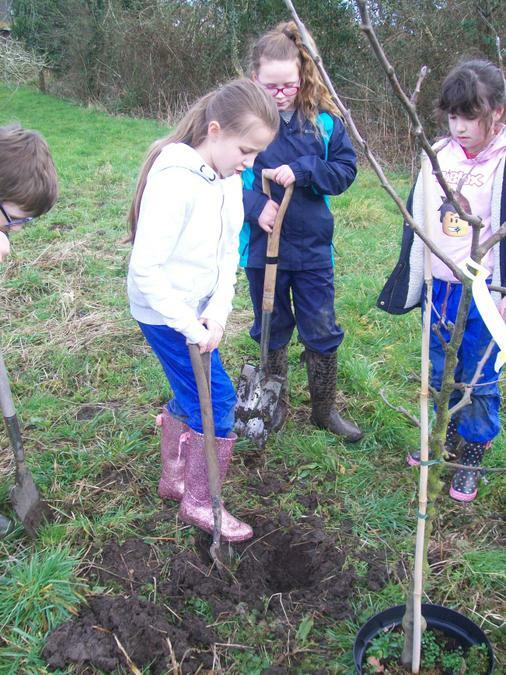 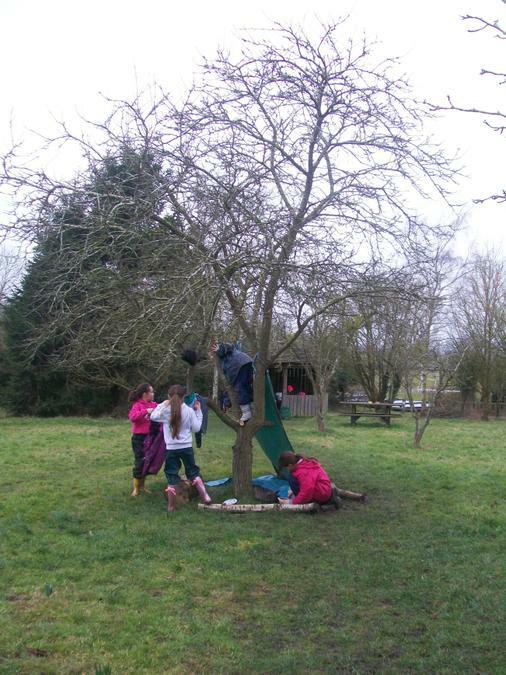 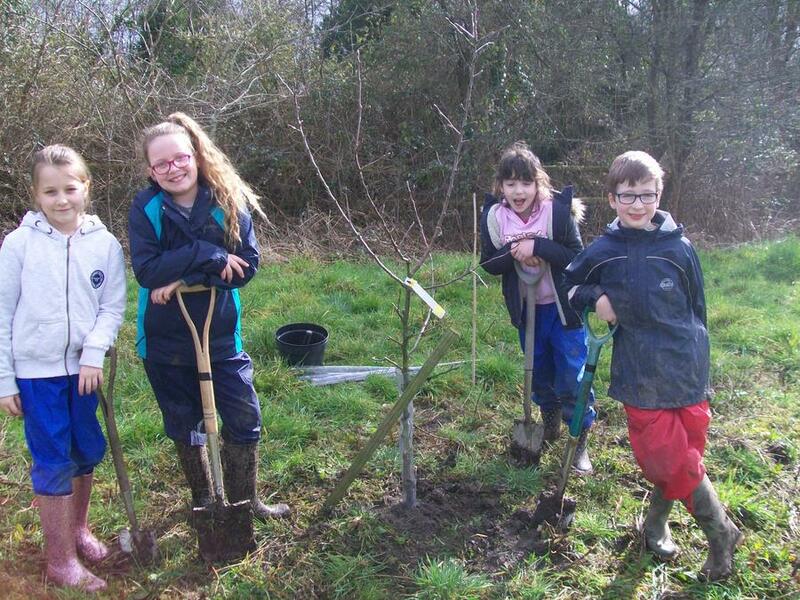 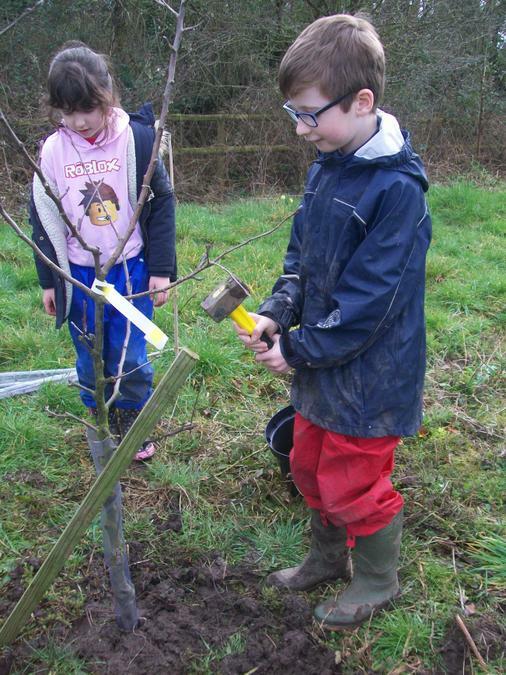 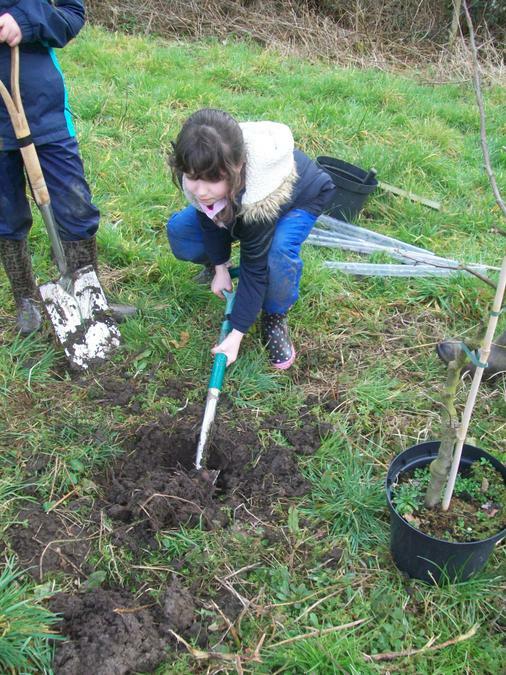 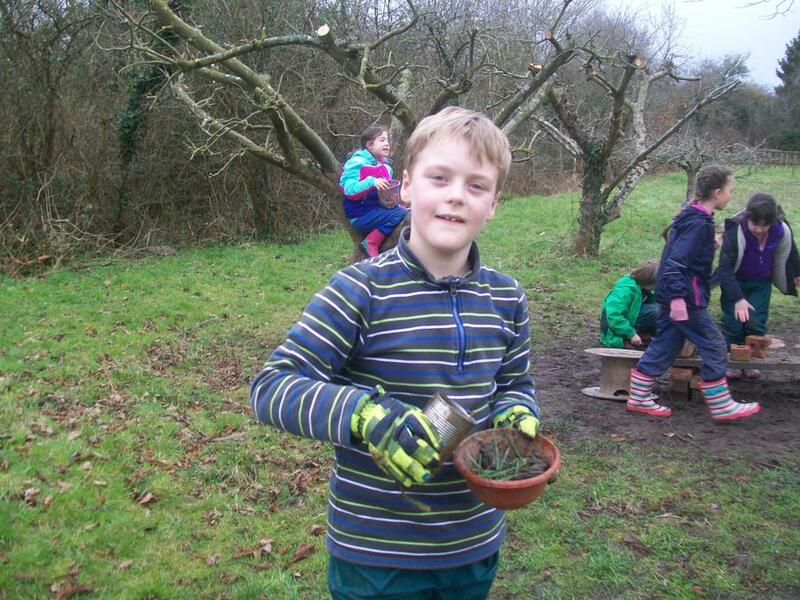 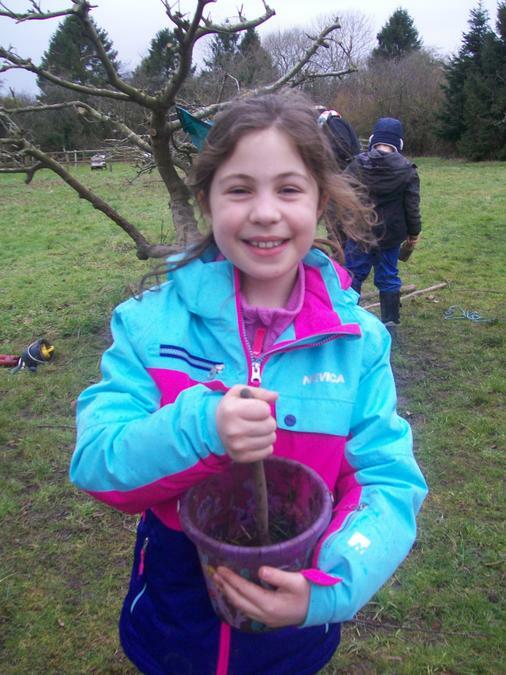 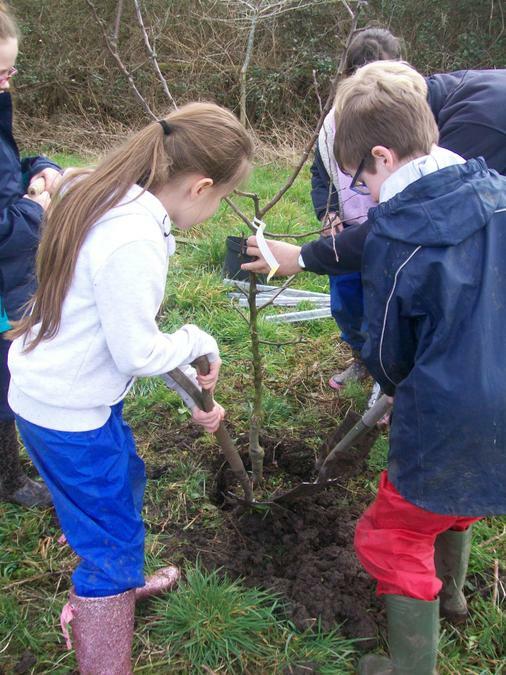 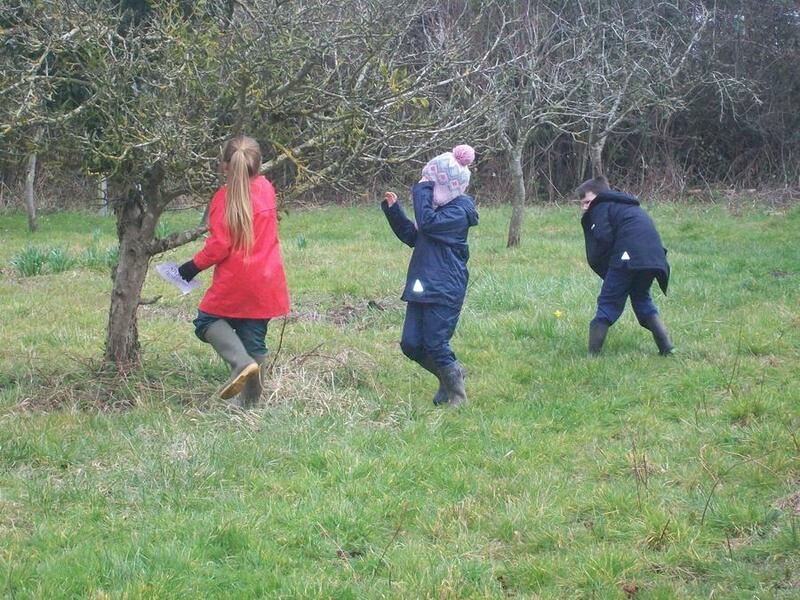 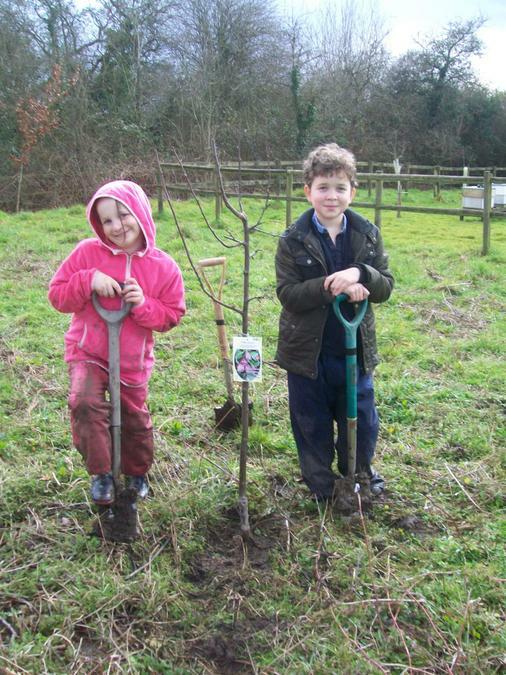 Class three have been working very hard, getting their hands dirty to plant to some new fruit trees in the orchard at our Forest School site. 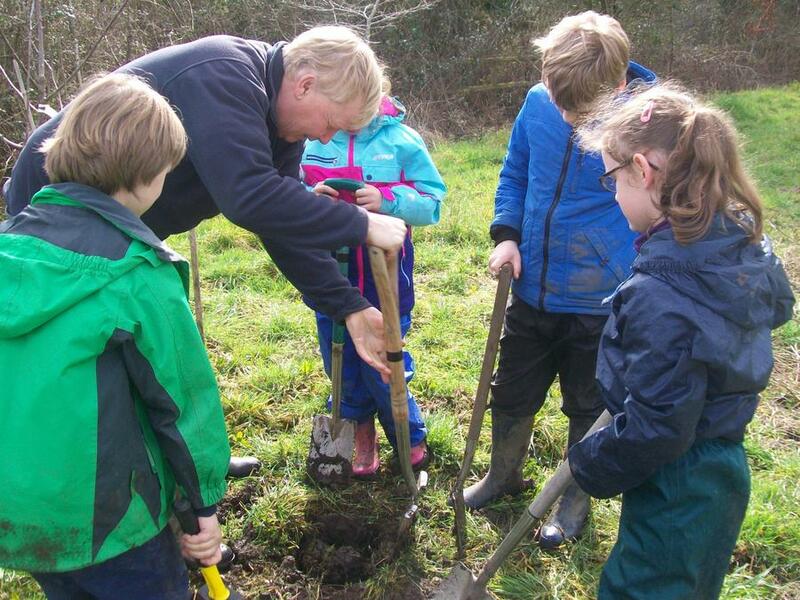 Mr Hazelwood kindly helped us to plant the trees and told us lots of interesting facts about the trees, how to plant them correctly and how we can take care of them. 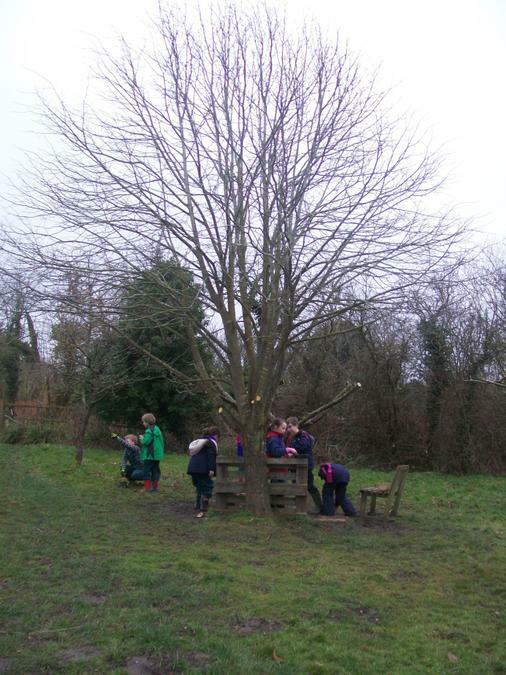 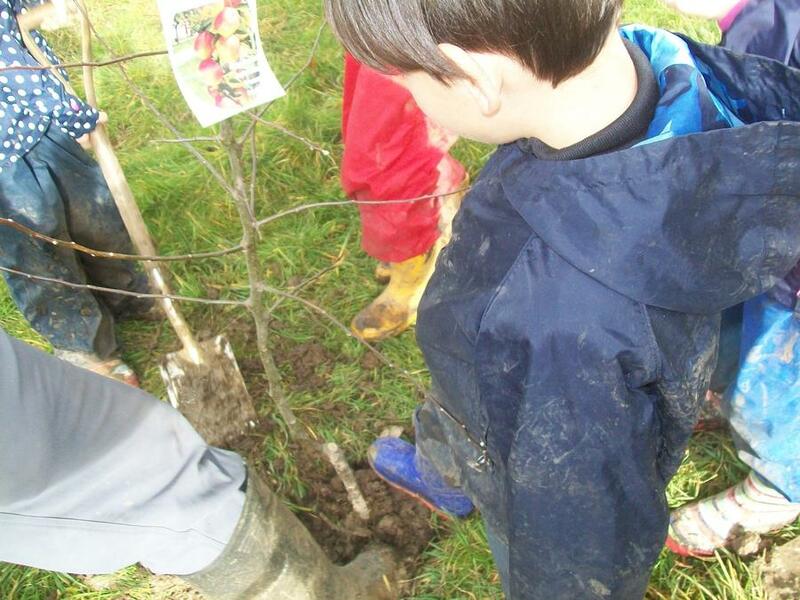 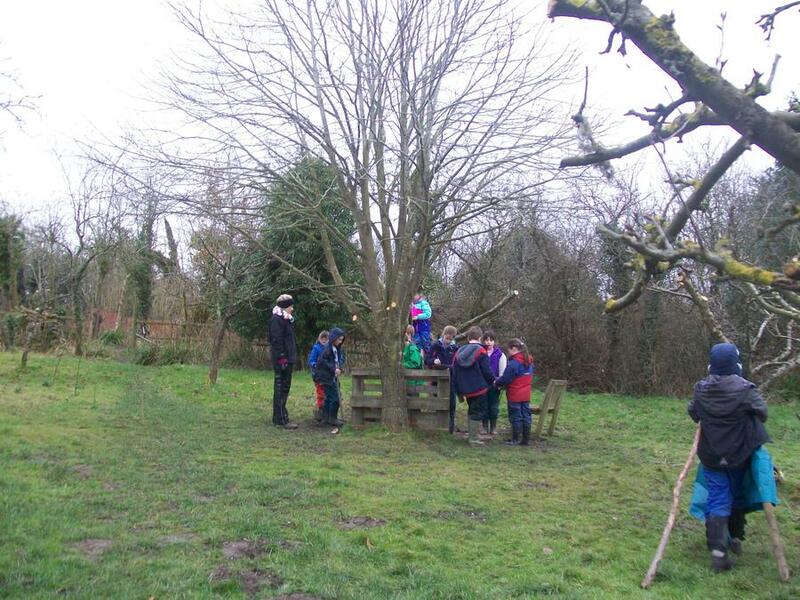 We were split into groups and each group had the responsibility of planting one of the trees. 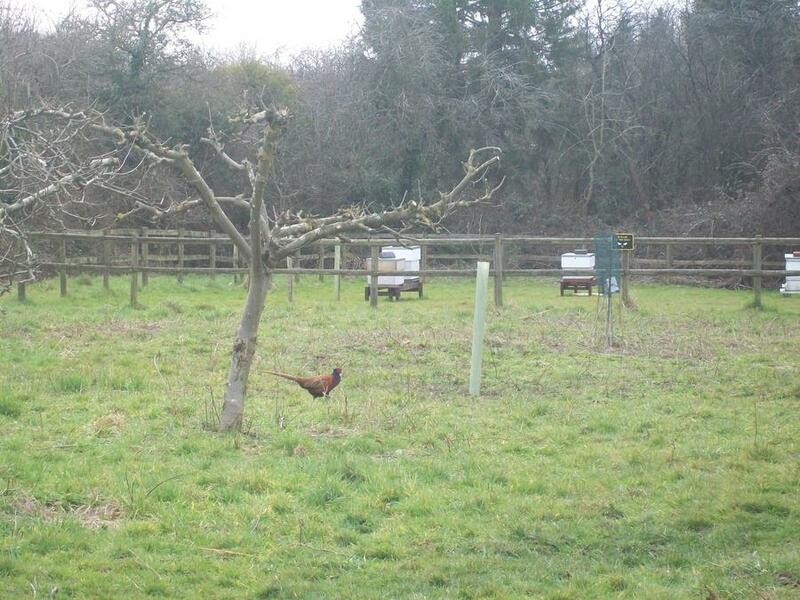 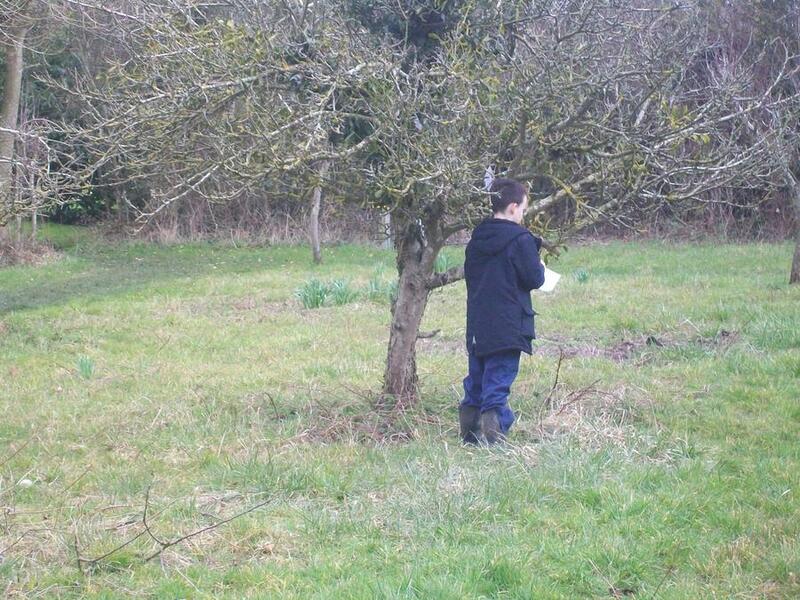 There were a mixture of pear, cherry, apple and plum trees. 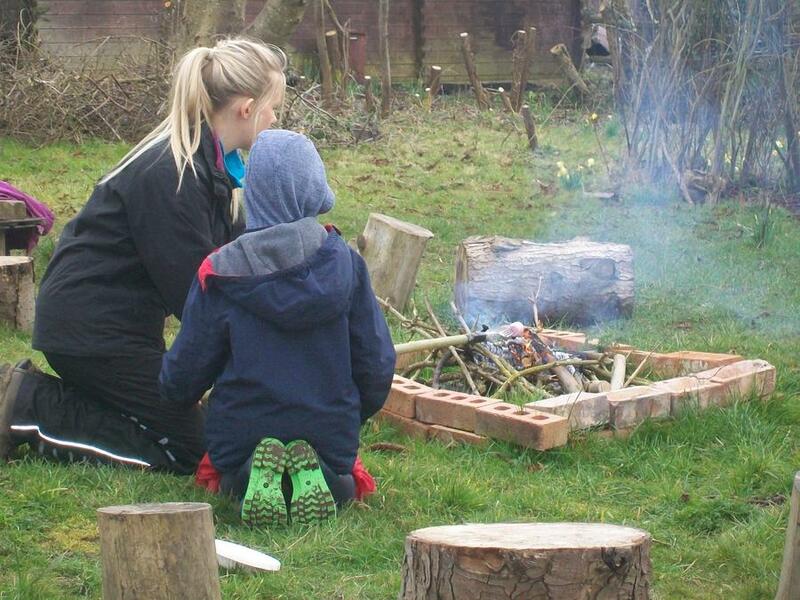 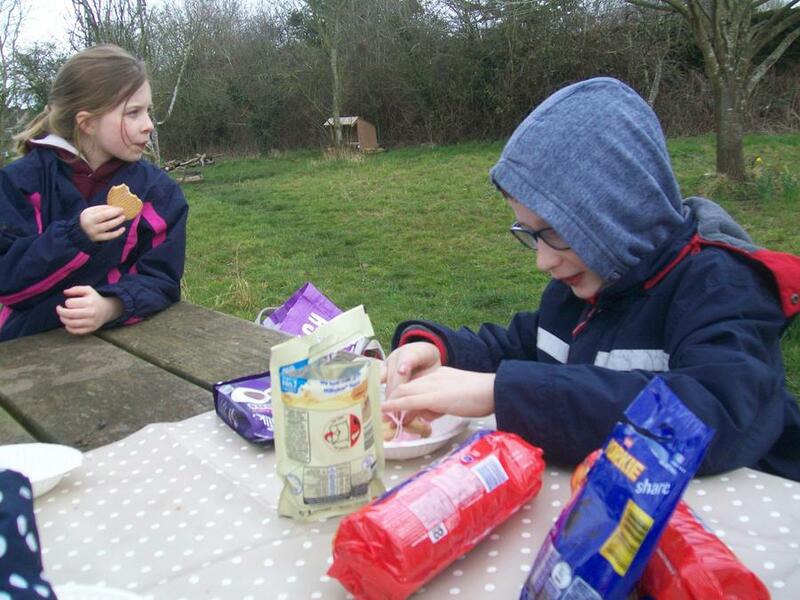 For our last session, Class three decided to have a fire and make smores by toasting marshmallows and placing it between biscuits with chocolate buttons! 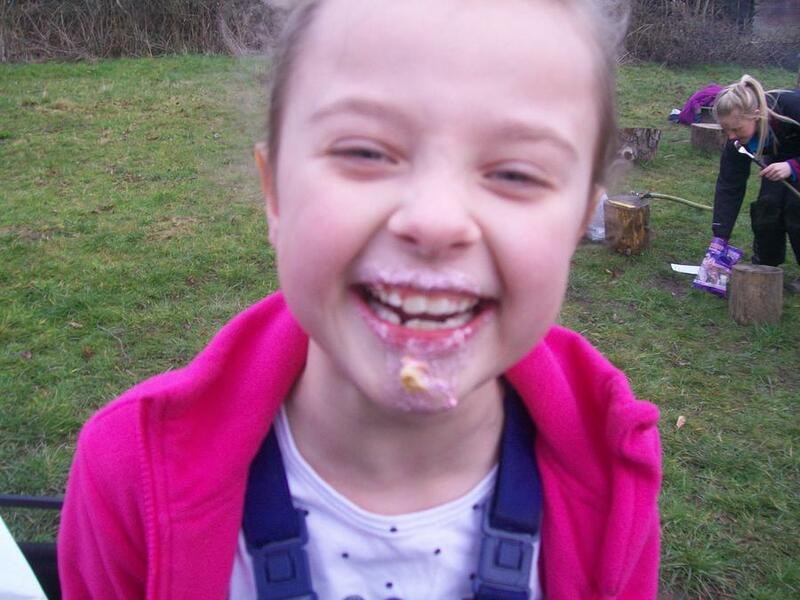 It was delicious! 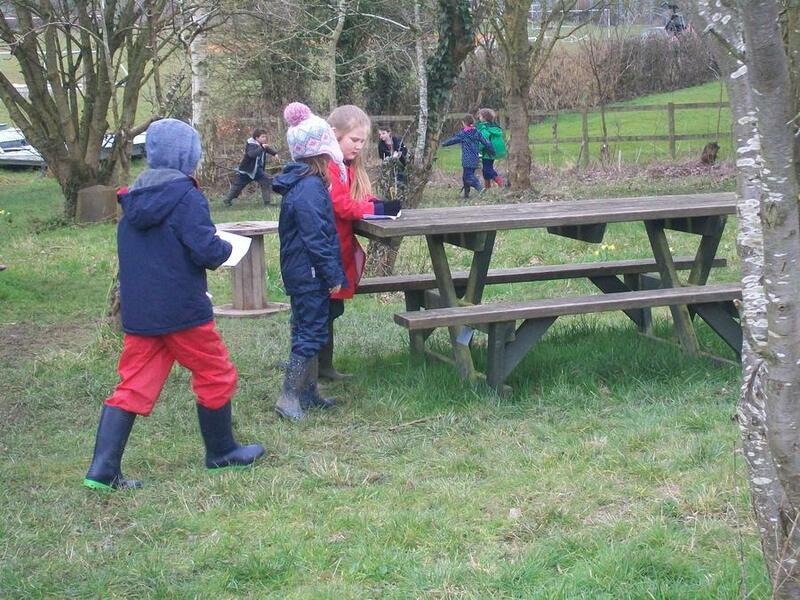 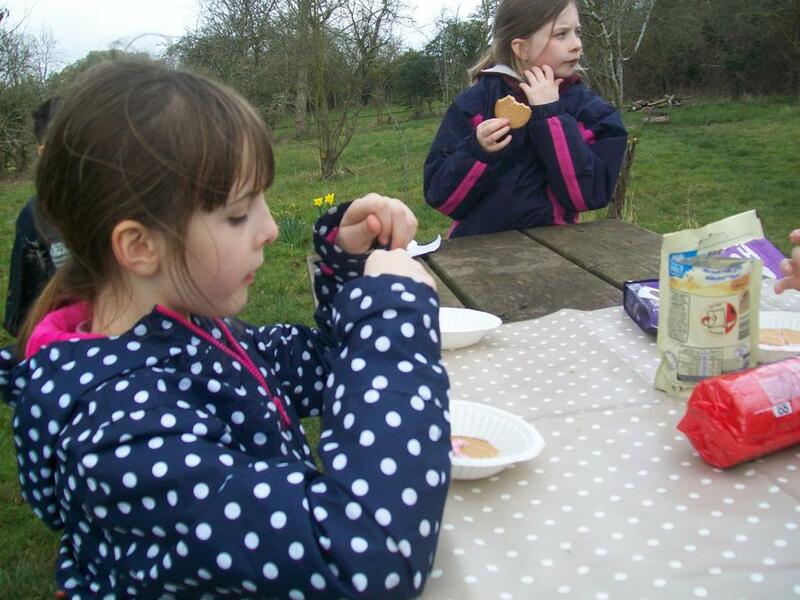 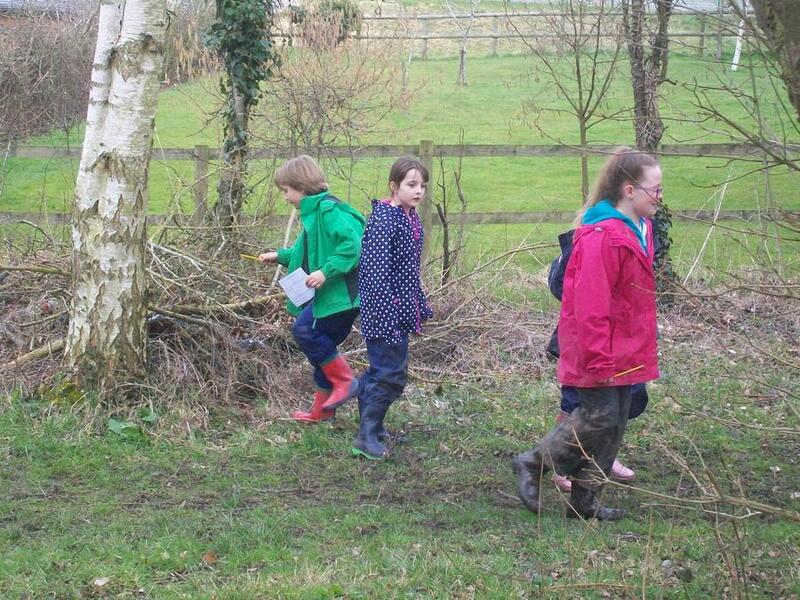 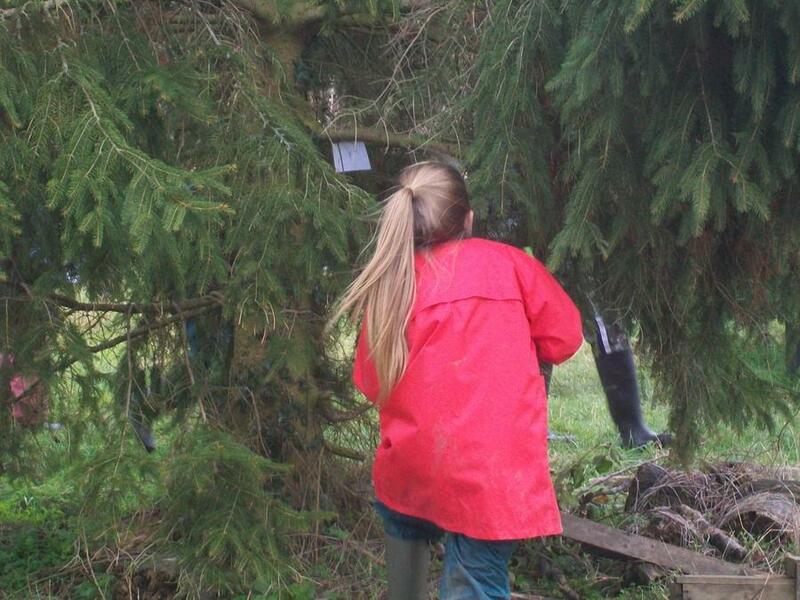 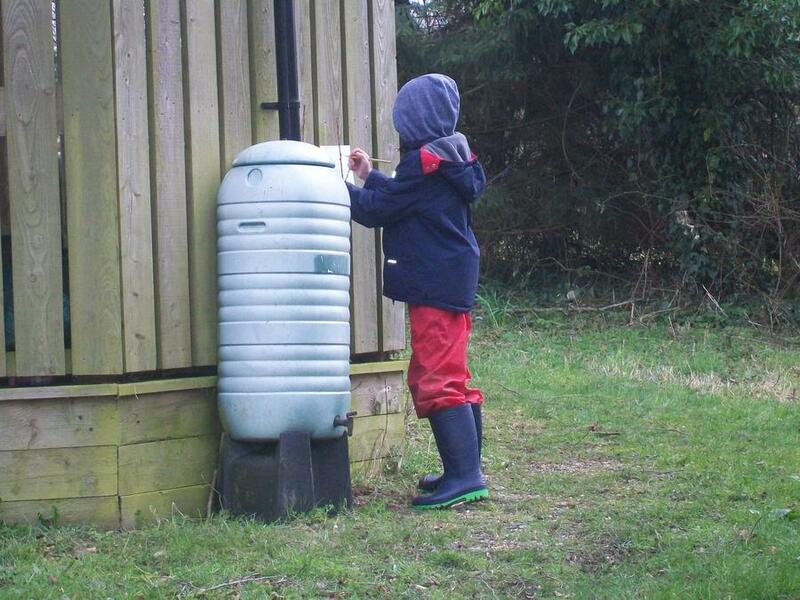 Miss Curnock arranged an Easter hunt challenge where picture cards were hidden around the forest school site, each picture had a letter on the back. 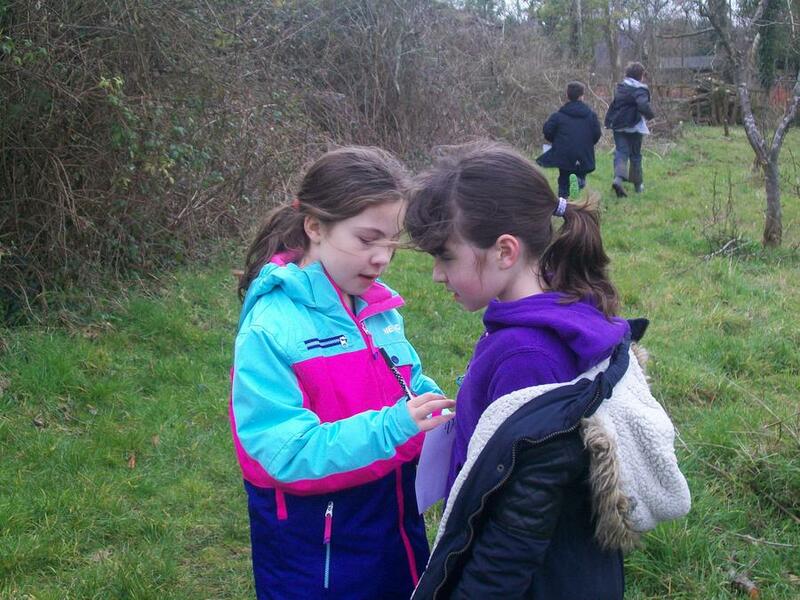 There were 11 pictures to find, once we found all the letters we had to crack the code by rearranging the letters to make a word! 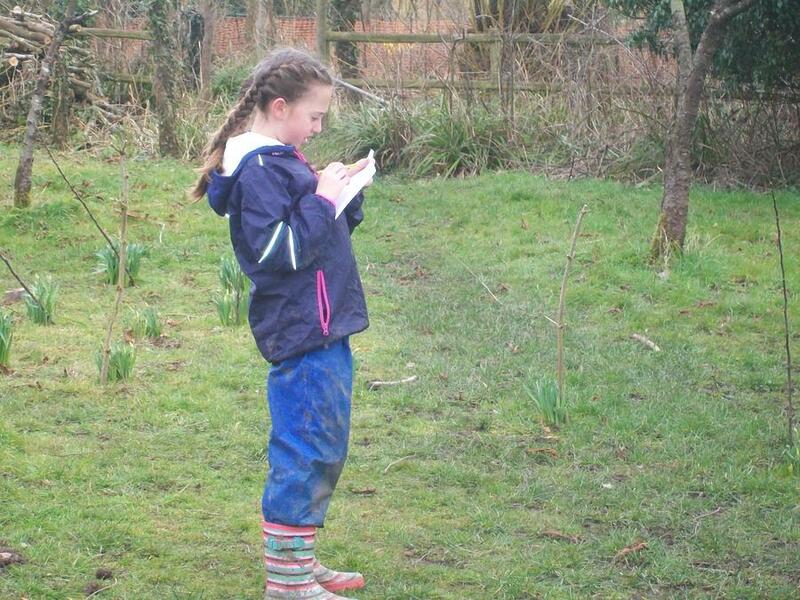 It took ages to find the letter Y! 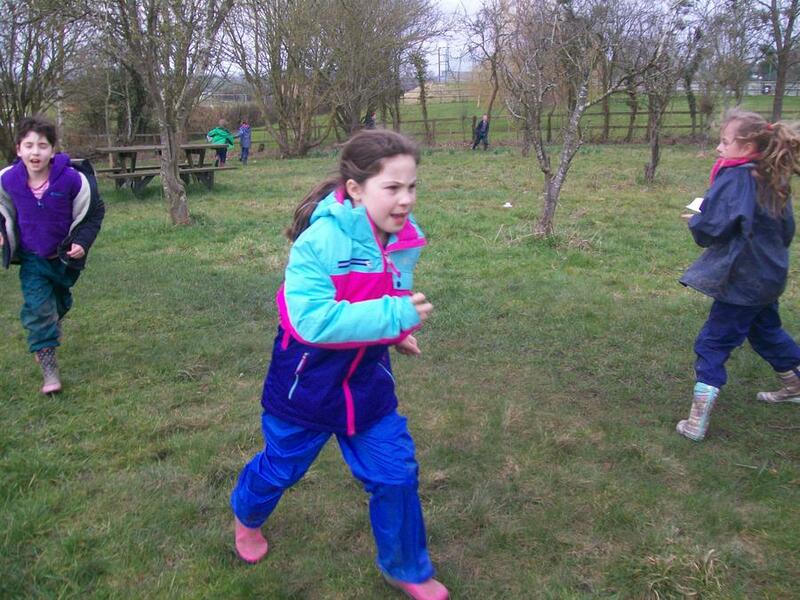 The secret code was...Happy Easter!